Austin Brown has planted his career right here in Pleasanton, for the past 4 years. Leading our Color Education Team. 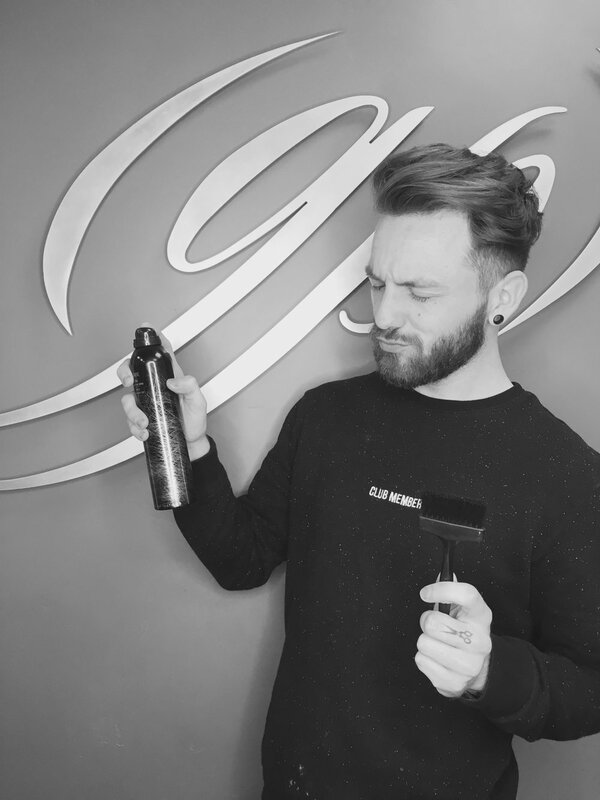 He expresses his love for hair, spanning from his mom's past career in hairdressing as well as growing up with three sisters who loved fashion. Finding a way to make his clients personality pop and their uniqueness bloom. He embraces the simplicity in natural beauty. His casual, but sheik style inspires our new assistants to find their uniqueness with color. His role behind education comes from intermixing art and science together. When asked what keeps him coming back, he explains the connections he forms with clients has all the meaning. "art and expression, that's what makes beautiful color"